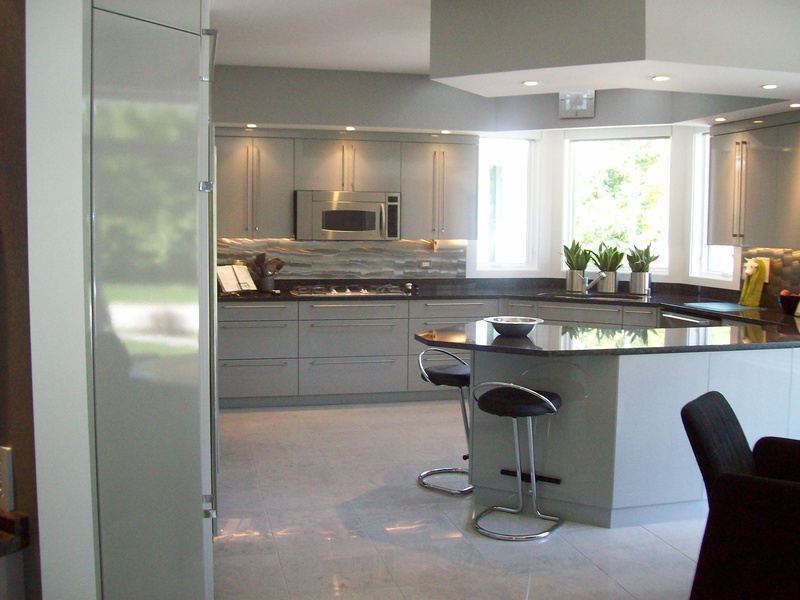 Sleek modern kitchen with soft gray solid conversion varnish finish. 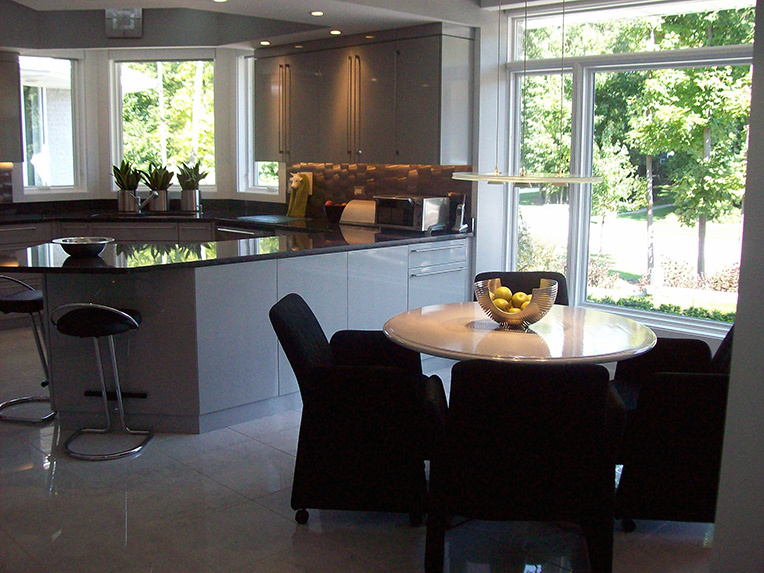 This Lovely Modern Kitchen features a sit-down area on the Peninsula Cabinet. 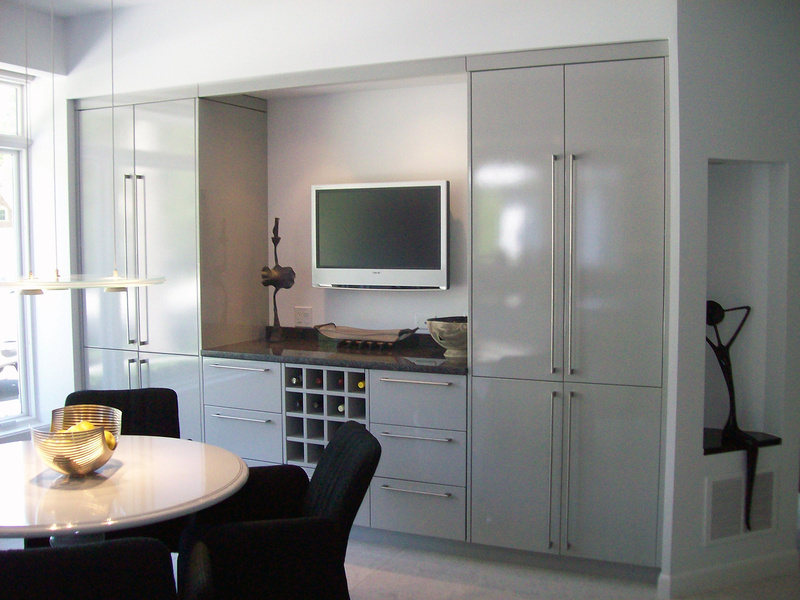 Large Stainless steel Bar Pulls accent the flat door style creating a modern design. Next to the Kitchen is a dining area with T.V. Wine rack and plenty of storage. 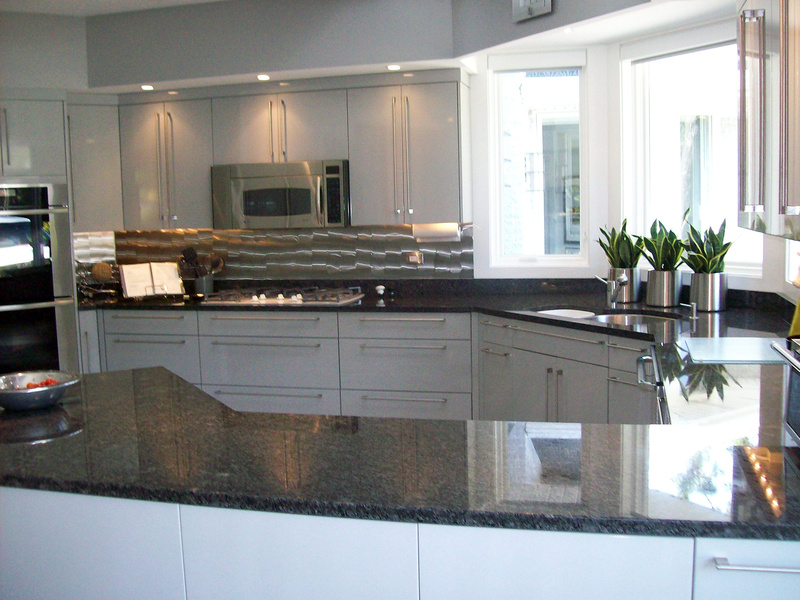 The Stainless Steel backsplash and can lights add to the beauty and function of the lovely Kitchen. 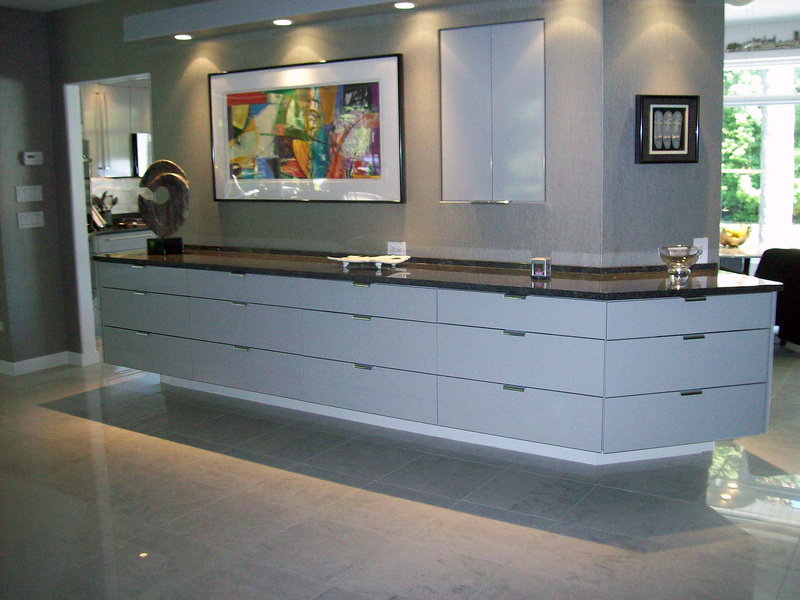 The perfect serving counter for large parties is located around the corner from the Kitchen making this the ideal area to entertain guests.